As with all asset views, the media view needs to have its content populated. This is set using the mediaContent property. 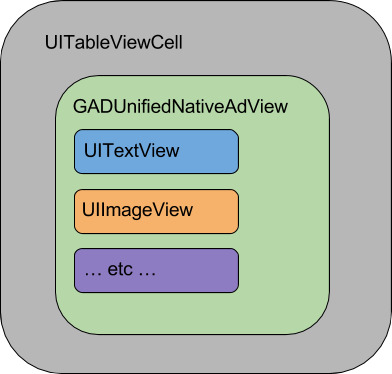 The mediaContent property of GADUnifiedNativeAd contains media content that can be passed to a GADMediaView. If a video asset is available, it's buffered and starts playing inside the GADMediaView. The GADVideoController class is used to retrieve information about video assets. GADVideoController offers the hasVideoContent method for querying video state. It returns true if the ad includes a video asset, false otherwise. To retrieve the aspect ratio of the video, refer to the mediaContent property of GADUnifiedNativeAd as detailed above. to render your native ads.